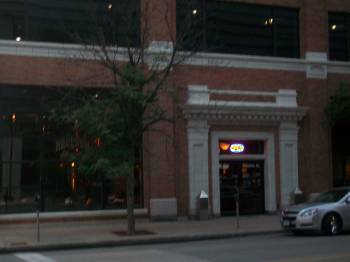 I was staying in the Fort Des Moines Hotel, and this brewery is located right next door, so it is a good location for the end of the night. My only complaint was it closed at 11pm on a Thursday night. I wasn't expecting such an early close time, so I had to rush through a sampler at the end of the night. The Red and Vanilla Cream beers were the most memorable in my mind. Also had a decent stout and IPA. Overall, the bar closed, but they let me stay to finish out the sampler and didn't rush me out, so I can't complain about their service. Nice location downtown with a good atmosphere. My second trip here was a tad less impressive than the first (a year apart) but it was dead one a Monday night football night. Didn't help that the place was trip over your feet dark, but I found the bar (instinct). The selection of beer runs around 6-8 various styles, all of which I found as good or better than other local offerings. The prices were more reasonable as well. This feels more like a place to hang out. The first time around I tried the food and liked it. I had a pale and a stout and both were spot on. If only making one stop in town and you want to relax, not impress and spend $$$, this is the choice. Nice place, good food and beer. Really one of Des Moines gems. 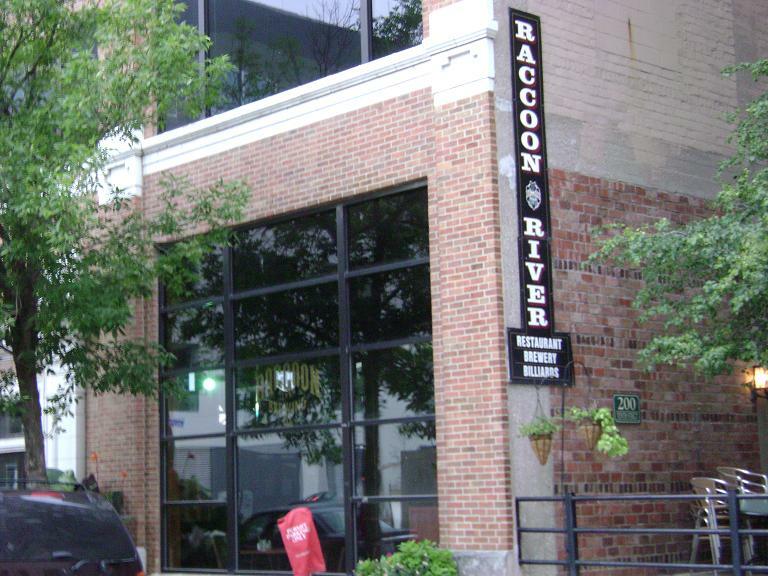 RRBC consitantly has the some of the best brewpub beers in town. His house IPA - The Bandit - is constantly clean and hoppy without being offensive. The Maibock is one of the best brewpub beers I have had anywhere. Be sure to check out the Pilsner in the late summer, too. Dave also brews a bigger version of The Bandit called Bandito Loco that is worth the trip alone. He has a great line up of house beers, but the specialties are good enough that I hardly ever get to them. Great selection of food with good service and resonable prices. Be sure to go upstairs to enjoy a more laid back bar and a great pool room. Stopped in for lunch and the chance to try RRBC's wares for the first time. After trying the Tallgrass Light, Vanilla Cream Ale, Homestead Red, Bandit IPA, Maibock, Belgian White and South Station Steam, I ordered a Stonecutter Stout to accompany my chow. It was very good, rich, roasty with healthy coffee and chocolate nuances. It arrived in a dimpled mug with a persistent off-white head. The menu calls this â€œthe beer you need when youâ€™re feeling the need for restoration.â€ Indeed. Restoration and enlightenment, perhaps. Generally, all the beers were good, but the other standout may have been the Vanilla Cream Ale, which was very soft and enjoyable. In addition to a solid lineup of beers, Raccoon River also puts out house-brewed sodas. My boys enjoyed Alliâ€™s Root Beer and the electric blue Confluence Cream Soda, while I appreciated the three seasonal offerings being poured. On tap were a maibock, Belgian white and steam beer, which I liked in that order. With food orders that ranged from chicken wraps and salads to Cuban meatloaf and hot beef sandwiches, everyone in our party went home happy. The food, to me, didn't stand out, but was passable. Our waitress was friendly and helpful, seemed in tune with the beers she was serving. There's some on-street parking and a deck around the corner, which you probably have to pay for. And being downtown, there's probably a bus stop, if you want your public transportation.